I grew up at the beach here in San Diego. I have spent most of my life within a few miles of water and yet I never learned how to swim properly. Yes, I could tread water, float on my back and swim underwater but I never learned proper strokes or breathing. It’s always been on my bucket list to take lessons but never found anywhere I felt like I could be safe and comfortable. I can now say I checked that box and so have other adults in our community thanks to Kim Shults, owner of “Learn To Swim Today”. 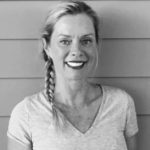 Kim has been providing customized swim lessons for all ages and abilities since 1991. She is an innovator in swimming instruction for people with autism and those overcoming water phobias. Her successful record of aquatic breakthroughs inspired her to found Face in Water, a non-profit organization that helps individuals develop lifesaving water safety skills. 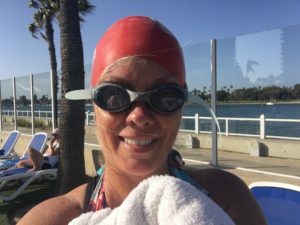 I didn’t know what to expect when I showed up for my group lesson at the Coronado Recreation Center except that having met with Kim beforehand, I knew I would be in good hands. 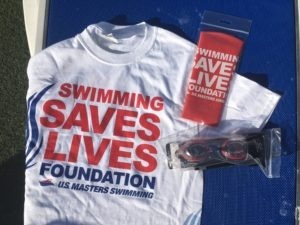 The class is limited to five people, led by Kim, and is offered by the Coronado Masters Swimming Association, a 501(c)(3) nonprofit organization. 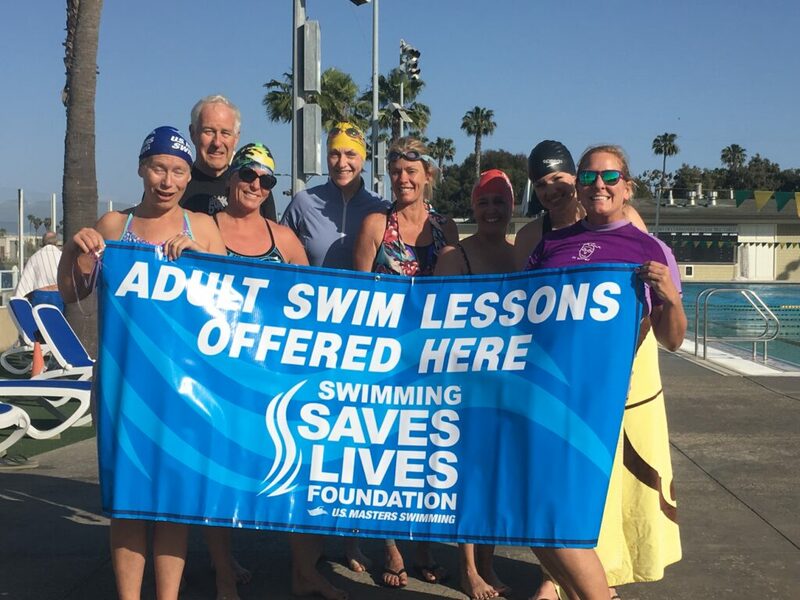 This One on One 60 Minute Breakthrough Adult Learn-To-Swim Program is made possible by a grant through Swimming Saves Lives and the volunteer swimmers who assisted in the class. Each student worked side by side with a Coronado Master Swimmer under Kim’s guidance and supervision. In just one hour, every student was able to stroke swim with proper breathing from one side of the pool to the other and back. We also learned how to rest while swimming if we became too tired. By the end of the class, everyone agreed they felt much more confident in the water and we were all swimming like it wasn’t our first day. As a part of the $25 donation for this one session, all participants received a t-shirt, goggles and swim cap, as well as being able to swim with Kim and other volunteers during the Coronado Masters Swim time for 30 days to increase the skills taught during the class. Kim has been a swimmer her entire life and has a deep love of the water; she has been teaching swimming for 27 years. Kim is always looking for new challenges and in December she and other swim instructors traveled to Uganda to teach adult swim. It was an adventure Kim will never forget, which she has shared on her blog. She is the author of “Life With Lou,” a children’s book on swimming which is available on her website. She is nearing completion on her next book as well. Kim offers private swimming lessons for adults and children. She has a unique way of helping people overcome the fear of water so that learning becomes easier. For more information on the Adult Learn-To-Swim program or for private lessons, contact her at faceinwater@gmail.com.